Through Bible History electives, youth between the pivotal ages of about 12 and 18 are discovering the amazing reality that the Bible contains stories of people just like them! They read stories about broken people who messed up over and over again, and who made wrong choices and poor decisions, yet who were shown abundant mercy, grace, and forgiveness. This in turn helps students learn how to grant this same grace to others when they themselves are wronged. 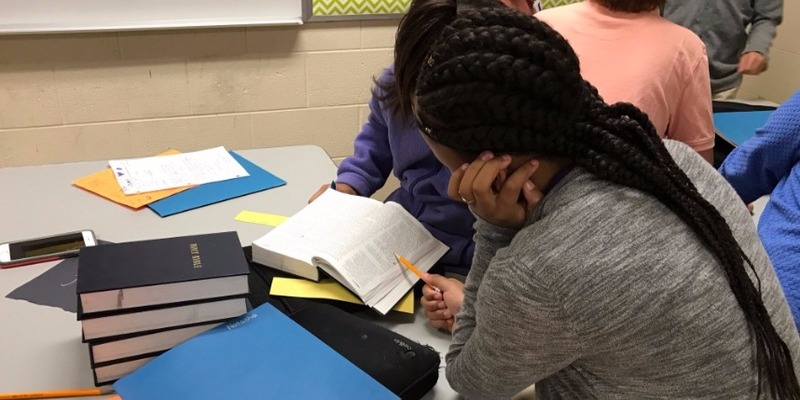 One 10th grade boy shared, "Bible history has taught me to forgive others," and a senior student recently confessed, "Bible history teaches beautiful life lessons and has taught me to be nicer."